Baby BUC | Anacom, Inc.
AnaCom’s line of Baby BUC Block Up-Converters are highly integrated low-profile outdoor units, with full-featured monitor and controls, designed to give extremely reliable service in a wide range of environments. They are available in single or redundant configurations. Solid state power amplifier, up converters, M&C, and a universal power supply are all included in one enclosure. Connect power (Baby BUCS come in either AC or DC powered configurations), IF cables, and one coax cable to the LNC and the unit is on-line. 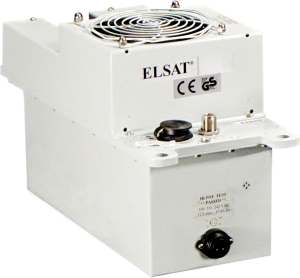 L-Band IF, available up to 40 watts.